The following post is sponsored by Naked Nutrition. Despite compensation and free product, all opinions are my own, as per the usual. I like chocolate. My body needs protein. So when chocolate and protein combine, it generally ends up being a very special treat. This is why, for instance, I usually buy chocolate protein powders. A few weeks ago, Naked Nutrition reached out with an opportunity to test a tub of their whey protein powder. 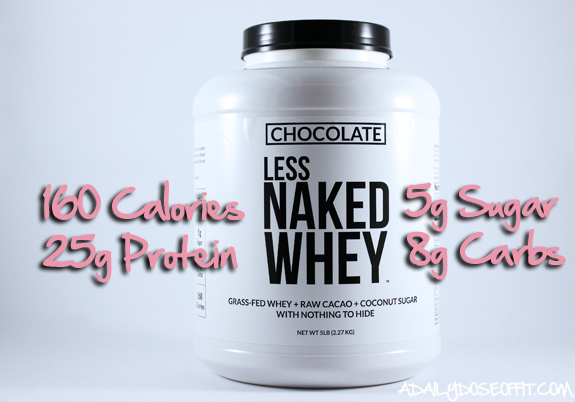 I, of course, chose the Less Naked Chocolate Whey protein powder. 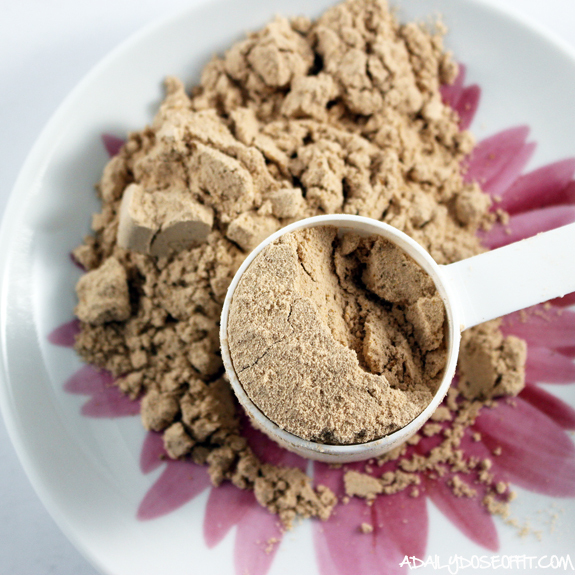 Let's make one thing clear: I am super picky about protein powders. For starters, I am a huge fan of getting necessary nutrients from a well-balanced diet, and I recommend this first and foremost to anyone that asks me if they need a protein shake after they work out. But, I'm also completely realistic. I understand that life doesn't always allow a person to create a well-balanced meal or snack after they hit the gym. And this, I believe, is where a good protein shake can help. And it's how I fit protein shakes into my life. For example, on Tuesday nights, I teach a Barre Fit class at 5:15PM, followed immediately thereafter by a Buddy Bootcamp at 6:30PM. 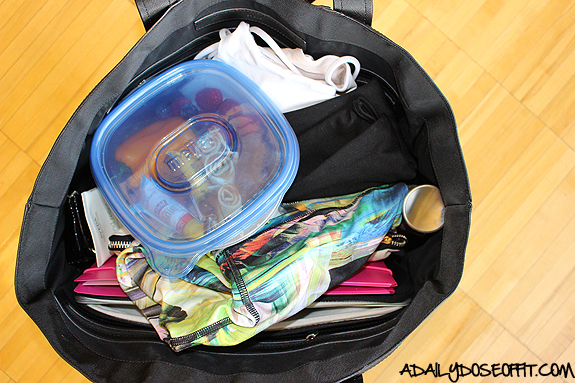 I often bring a protein shake to the gym with me to hold me over until I get home. Now take a look again: There are three ingredients. 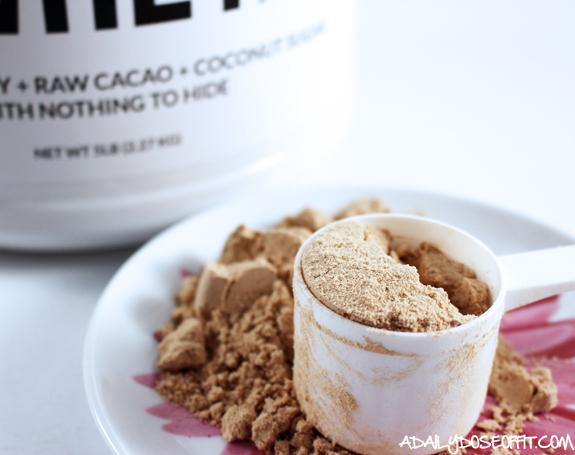 Grass-fed whey, raw cacao and coconut sugar. That's it. "Nothing to hide." Totally winning, right? Admittedly, this doesn't make it the most potent in terms of flavor. The chocolate is very subtle, and that's not necessarily a bad thing. 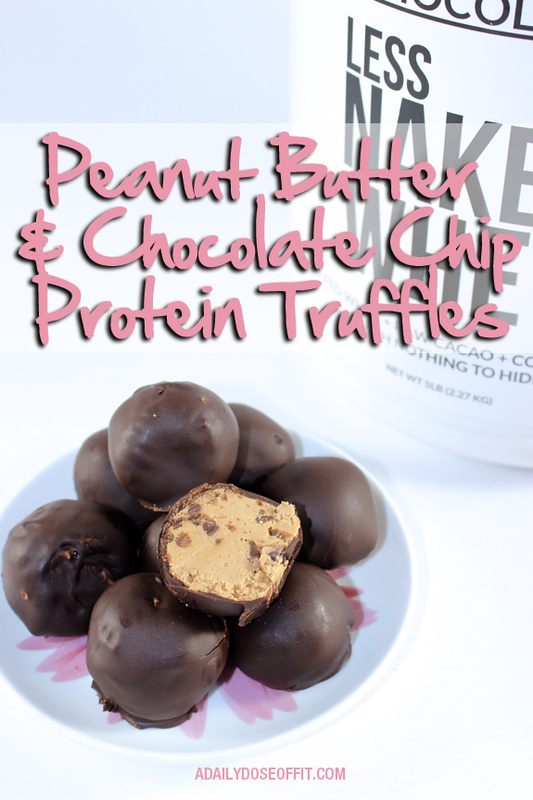 In addition to drinking it straight up with some water, I used it to create peanut butter and chocolate chip protein truffles. 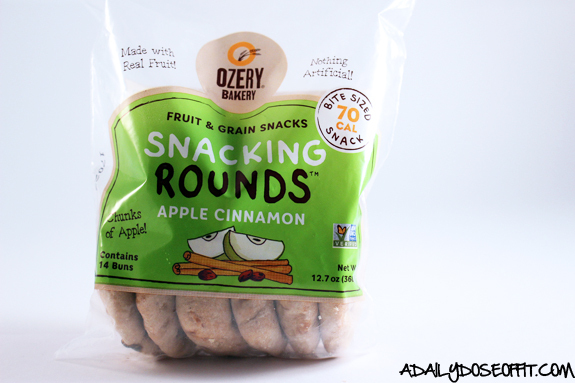 These little bites of yum are about the size of a golf ball, and take minimal time and effort to make, but go a long way in the healthy snack department. Also, chocolate meets peanut butter. Totally winning. We'll get to the recipe in a second, but you should know that protein powder isn't required. But it will up the protein content of each truffle if you use it. And for what it's worth, they can probably be made with just about any type of protein powder. So do the math. That's about $1.50 per protein shake. And if you use protein like I do, one tub will last you a very long time. Now it's time for the recipe. 1) Put everything but the dark chocolate bars and coconut oil in a bowl and mix. Refrigerate until solidified enough to form into balls. 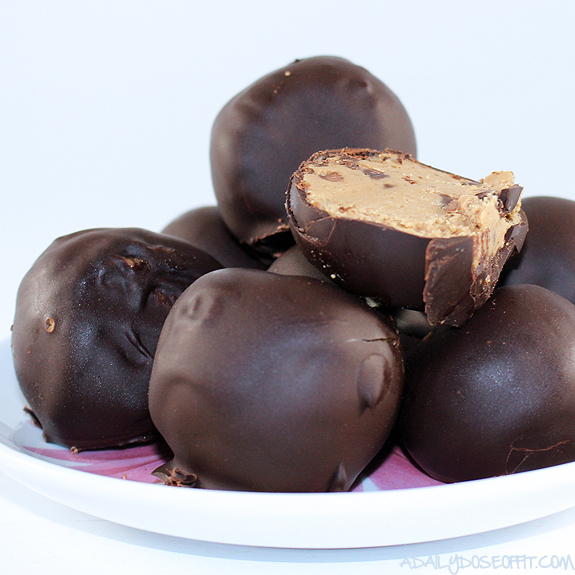 2) Create truffles the size of golf balls, then freeze them all for an hour at most. 3) Melt the chocolate bars slowly, adding the coconut oil halfway through. 4) Dip each truffle in the chocolate. 5) Store them all in the refrigerator. Good luck not eating them all at once. The recipe will make a little more than a dozen truffles, and as you can see, I don't have that many left. Whoops. Eating them like a champ over here, don't mind me. Question: What's your take on protein powder? Do you incorporate it? Do you rely on it? Do you have a favorite? Doesn’t it feel like everyone is sick? Germs are floating around like snowflakes, landing on every surface and infecting us with illnesses that won’t go away. No one likes to get sick. It’s disruptive. And nowhere is this more evident than at the gym. It can be really hard to exercise effectively when you are sick. 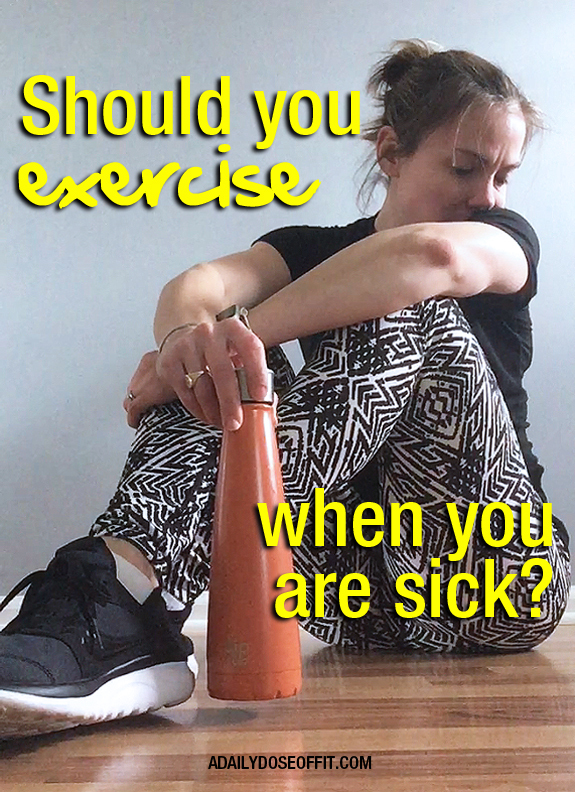 But, is it safe to exercise when you are sick? First and foremost, you need to honor your body. It speaks loudly! Rest is often the best medicine, but consulting with your physician will tell you otherwise—and you should always listen to your physician. You should change your health goals, too. When you are sick, your first goal should always be to get better. Your weight loss or long distance training goals can wait. Setting them aside for a few days will not diminish the progress you’ve made. Instead, it will give your body the time in needs to heal. Exercise ignites a stress response in the body. This isn’t always a bad thing when you’re in good health. But when you’re down, it can be counterintuitive to progress and it can hinder your ability to get better. Letting your body rest ultimately preps it to push hard when it’s back on top again. Remember, too, that your immune system is working overtime when you are sick. This makes you susceptible to even more unwanted germs. And hitting the gym will undoubtedly expose you to them. Plus, it will expose others to the germs that you carry. Do your part to stop the spread of unwanted germs! • Is your chest congested? • Are you having gastrointestinal issues? • Does your body ache? • Do you feel more fatigued than usual? • Are you having strong headaches? These are all signs that your body is fighting something strong. Give it time to fight. Give it time to heal. Remember, you need to honor your body. Respect it, too. It’s the only one you’ve got. Please remember that, although I am a certified fitness professional, I am not a physician. If you are sick and unsure of whether or not you should be exercising, you should absolutely reach out to your physician. If you have fitness questions, you can reach out to me at tara (at) adailydoseoffit (dot) com! I’d be happy to help. Question: How do you tweak your fitness routine when you are sick? Do you take time off or do you modify your routine? 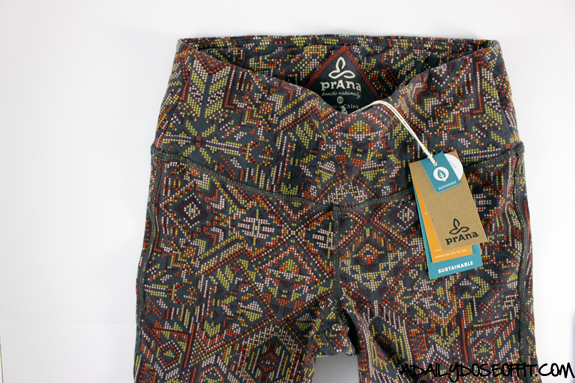 The following post is sponsored by prAna through my partnership with Fit Approach. I received an outfit in exchange for my honest review. The weather in Michigan is so unpredictable, but warmer(ish) temps and a few drops of rain have been giving us that Spring feeling. It's only the very beginning of March, though. Mother Nature has this funny way of playing snowy cold tricks on us through April. So we'll see. But still, it's beginning to look a lot like Spring—so it's time to start thinking about Spring cleaning. Every once in a while, you have to check in with your fitness routine. If it's going well, great! If not, then it's worth it to make some changes, do some things differently, or seek out new methods of motivation. Let's talk about that today. Let's talk about ten ways to Spring clean your fitness routine. 1) Purchase new workout clothes. If you're like me, you can't walk into Target or TJ Maxx without buying something for the gym. But hear me out—new gear is so motivating! 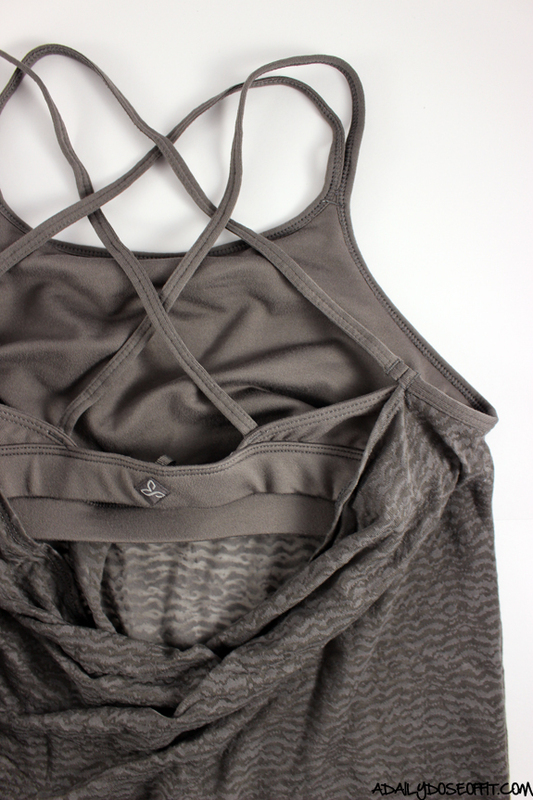 If you're in a rut, or if you've got a bit fitness event coming up, go buy yourself something new to wear. New clothes have this way of motivating you...they have this way of making YOU feel like new. It features an open back, but offers up plenty of coverage in the front. If you want to get your hands on some prAna gear—because you're Spring cleaning your fitness routine—use S4P17DDF at checkout to save 15%! 2) Hire a personal trainer. When you don't know what to do, seek help from someone that does! It's that simple. Personal trainers know what to do at the gym. Whether you work with them once a year, twice a month or three times weekly...they'll give you good advice and keep you moving toward your fitness goals. Next time you hit the gym, strike up a conversation with one of the trainers. See if they can help you move past your plateaus. 3) Asses the quality of your running shoes. 4) Decide if what you're doing is actually working for you. Now is the time to be honest with yourself. Especially if you've set some lofty goals for 2017. Are you still working toward those goals? Is your plan fostering success? If not, decide that you need to make a change. You must be honest with yourself. 5) Try one new thing. When it comes to health and fitness, you can't let boredom win. Because when your body gets bored, it stops responding to change. And when you need a change, trying something new can be just what the fitness doctor ordered. 6) Read a book related to health or fitness. If new clothes aren't your thing, maybe a book will reignite your interest in health and fitness. I am currently reading Shoe Dog: A Memoir by the Creator of Nike by Phil Knight. It reads like a novel and is so incredibly good. Plus, it's getting me psyched for some long-distance outdoor running in this warmer than usual March weather. 7) Buy an amazing water bottle (or at least make sure you always carry your favorite). Yes, you know—it's important to drink a lot of water. But are you doing that? Are you drinking enough water? If not, get yourself a great water bottle. One that not only functions well, but looks cool, too. Heck, make it an expensive one, because then you'll really want to carry it everywhere! 8) Throw away the comparison trap. You are you. There is only one of you. Stop looking at someone else and thinking it's how you should be. Be yourself, there is no other. And that's why this world is so amazing. Because we are all different. We all have different goals, and we'll all achieve them in our own special ways. 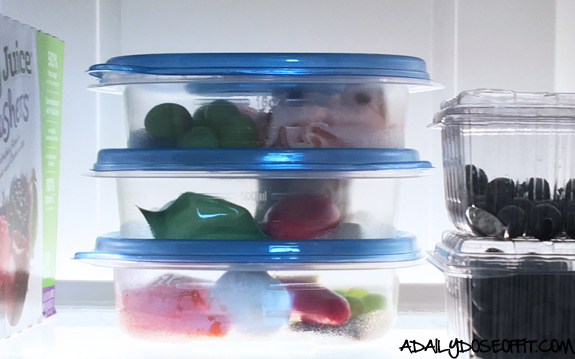 9) Clean out your refrigerator and pantry. If you struggle with healthy eating, take a few minutes and rid your refrigerator and pantry of anything that goes against your healthy eating goals. Just do it. Make room for foods that make a difference in your overall health and well-being. If your workout schedule fell off the calendar weeks ago, put it back on. Right now, get your calendar out, and put it back on. Clear yourself some space on your schedule for, well...for YOU. We can clean our house and our cars, we can clean our 'fridge all we want, but if we don't clean our schedules, too, we'll never find time for fitness. Whether you take time to complete all ten of the items on this list, whether you do just one or two, be sure to stop and breath for a second. We live in a go-go-go society and so much falls through the cracks because of it. Don't let your fitness fall, too. Take a minute to asses your situation so that you can continue going down a road that promotes the best version of you. 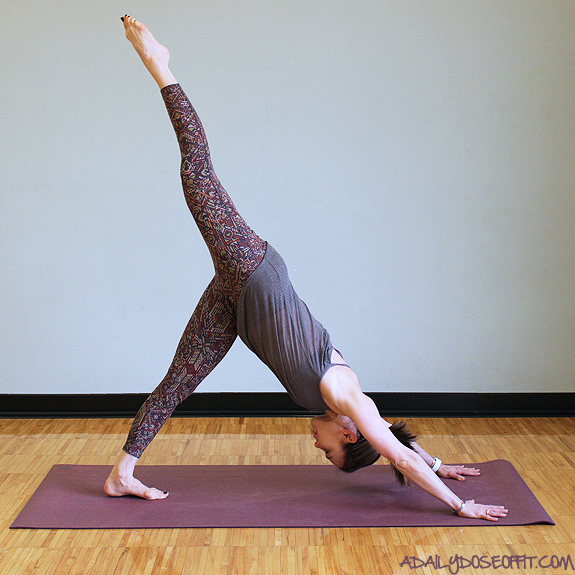 Don't forget to use S4P17DDF to take 15% off your prAna purchase! Question: Out of these ten action items, which would be the most challenging for you to complete? 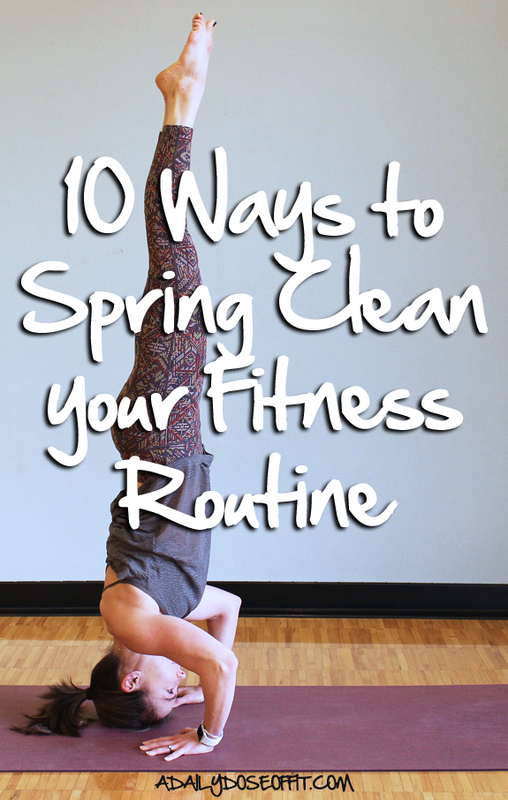 How do you Spring clean your fitness routine? It's no secret that I love Starbucks. A warm Cascara latte is the perfect pick-me-up, and their snacks...oh, so delicious! Have you tried the sous vide egg bites yet? Current obsession. Last month, I showed you how I make my own. And today, I'm going to show you how I make something else I like to buy at Starbucks. The very convenient Bistro box. Sadly, I can't buy these Bistro boxes at my Starbucks because it's located inside a grocery store. So I don't get them often, but they're my go-to when I'm on-the-go in other places. 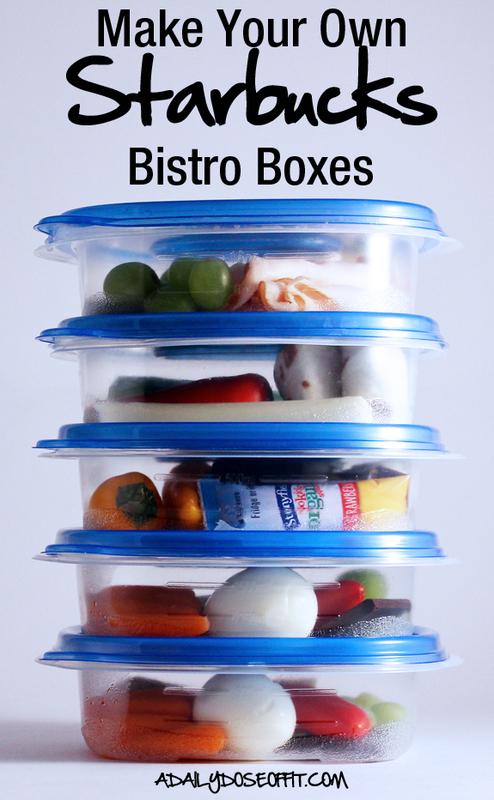 If you don't know what a Bistro box is, it's very much the adult version of a Lunchable. 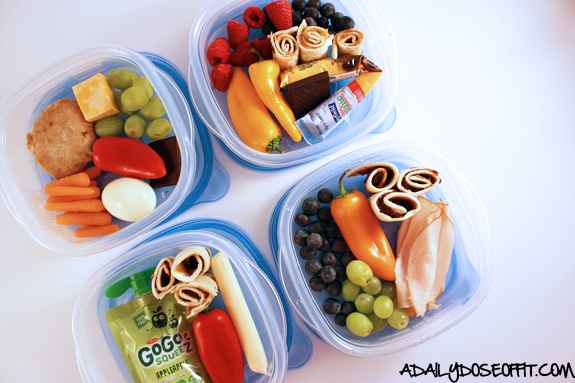 Perfectly packed food that's easy to eat. Lunchables aren't the healthiest, but thankfully, Bistro boxes are. I have a ton of plastic containers. My husband is always trying to throw some out. But none of them are worthy of the trash bin (in my opinion), but I wanted something that would be tossable...hopefully recyclable, too...and inexpensive. So I bought a set of cheap containers from the grocery store. I'll have no qualms about getting rid of them if need be, and I love that they stack perfectly in my refrigerator. I put a hard boiled egg, one chunk of cheese, mini peppers, and grapes in with the biscuit. 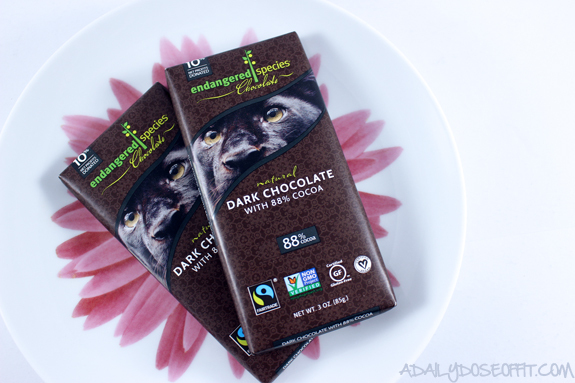 Plus a chunk of super dark chocolate because #dessertalways. You can do anything you want, though. I made five of the same variation. And when I emptied one, I filled it right back up again with whatever else I had on hand. Question: What would you fill your Bistro box with?